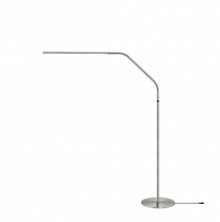 The attractively designed Twist Portable Lamp is the most popular lamp in the Daylight range and is available in white. 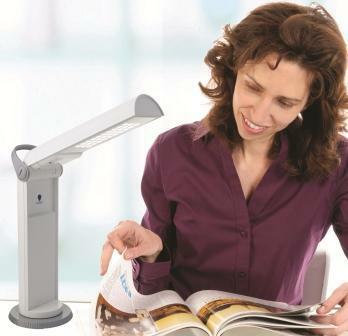 The daylight LED’s provides high contrast and accurate colour matching, making it easier and less tiring to read, work and see detail clearly. 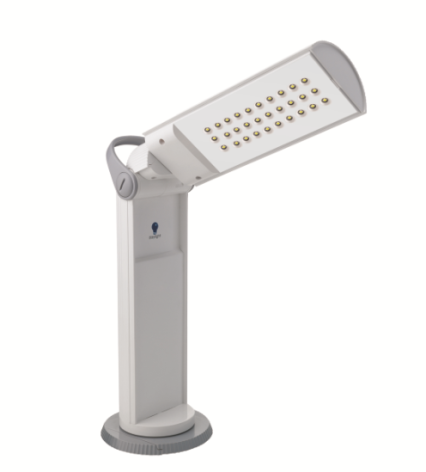 The LED’s never need replacing and are low in energy consumption. The twistable shade allows the light to be positioned where you need it and the lightweight design makes it easy to move around the house or even for taking to classes. Lightweight and foldable, take daylight™ with you wherever you go.